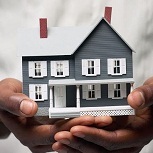 ← How to Compare Different Home Loans? 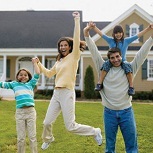 Buying a house can be one of the wise decisions you will ever make in terms of investment. But taking this wise decision in itself involves taking a lot more thoughtful choices. Among the many ones of those important things to do is to vet the house and its previous owners before you are buying that house. Now there are certain ways that will help you in vetting a house and its previous owners! Tips on vetting the house before buying it! You need to vet the house before you agree on buying it. 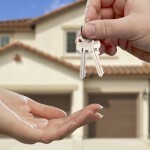 It will ensure that you don’t have problems coming to you immediately because of your new home right after you buy it. Tips on vetting the previous owner of the house! Now when it comes to vetting the previous owner of the house, it can get a little tricky. You should again be well prepared with the question s that you want to ask them before you make that final purchase. Now here are a few questions that you can ask the previous owner of the house. Now finance is one of the most significant issues while dealing with the real estate business, so you have to make sure that you are going in the right direction. A few things that you need to know can be like the amount of time for which the previous owner had owned the house and how much did they initially pay for it while buying the home. 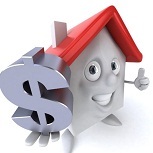 It will help you in understanding whether the market value of the house has increased or decreased. Also, you should know the duration of time for which the house has been in the market for. It will give you an idea of the owner’s willingness to sell the home. If needed you can also inquire about how the previous owner managed to arrive at the current market price of the house. Now you have to admit to the fact that a house requires the support that it deserves. You should inquire of their maintenance routine and how much does it cost on an average. Also, ask about whether there are pre-existing recurring maintenance related issues. Then along with that you also should also consider the location of it. Whether the crime rates are high or low, is it under the major flight line, about the local school or college system if you have kids and in general, you should inquire about the neighborhoods. THIS way vetting the house and its previous owners will give a fair idea of what kind of home you are buying. Also by vetting, you will find it easier to decide whether you want to buy that house or not. I'm a former real estate broker who specialized in helping first time buyers be able to purchase a home. Now full time mom, part time real estate owner/investor. This entry was posted in Blog and tagged Things you need to know about buying the house. Bookmark the permalink.